It's always exciting when the postman delivers a parcel, you wonder what it could be or if what you have ordered will be as good as it looked online. We had a parcel arrive the other day and I knew exactly what it was and couldn't wait to open it. We were very lucky to be sent a letterbox cake by Bakerdays, I let Jared choose a design he went for a beautiful chocolate Easter themed cake. The letterbox cake is big enough for 3-4 people or maybe just one person who will eat 3-4 portions (I was tempted). 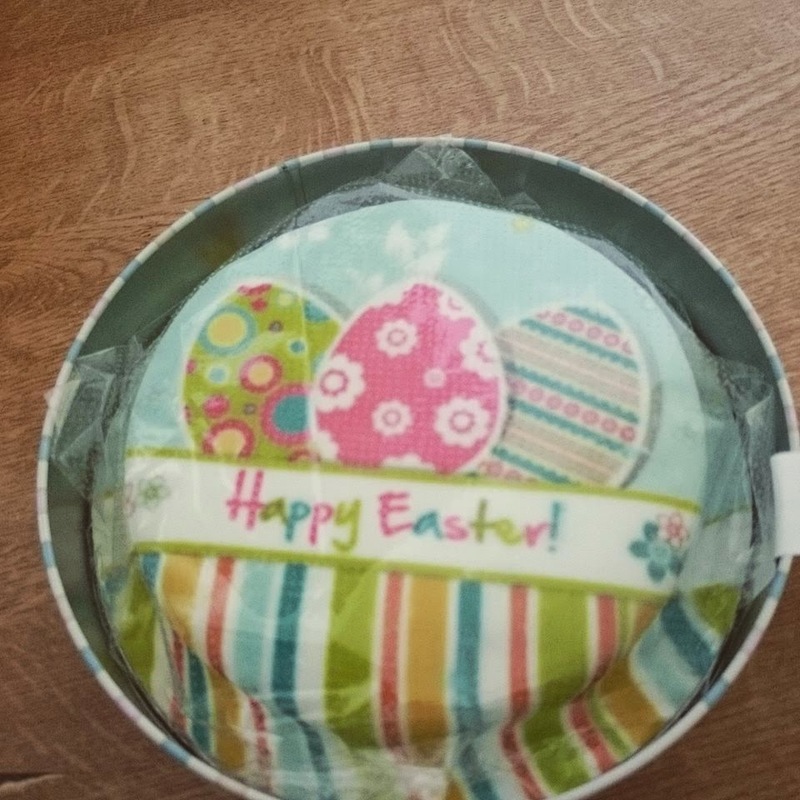 The letterbox is the smallest cake that Bakerdays offers being just 5 inches the biggest cake they offer is 12 inches which is 40-55 portions and comes with a free balloon. There are plenty of designs to choose from, birthday cakes and cakes for many occasions and events. If you prefer you can personalise your cake. As well as being able to choose the design and size you can choose the type of cake you would like from fruit cake, vanilla or chocolate chip. What I love about this is that Bakerdays caters for all an offer a dairy free cake also a gluten wheat free cake, I find these hard to find in shops or to order from local companies. The letterbox cake is ideal for sending to friends or family instead of or with cards, maybe to a son or daughter who is in university. 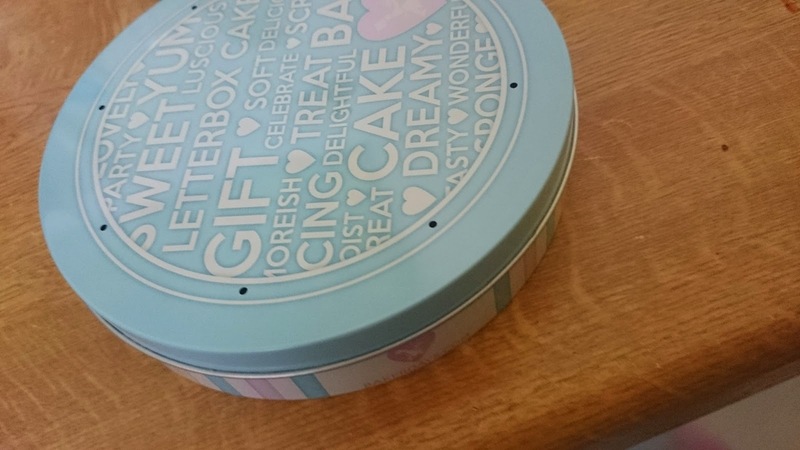 The letterbox cake comes in a super cute cake tin which I plan to use to store all my kitchen recipes. Another great product that Bakerdays offers is cupcakes, everyone loves cupcakes!! The cupcakes come in a box of twelve and are available in two different flavours. Again there is a wide variety of designs to choose from with some where you can add your own text. These could be used as wedding favours or for parties and many other occasions where cake is needed. Lets face it cake is always needed for a good party or get together. 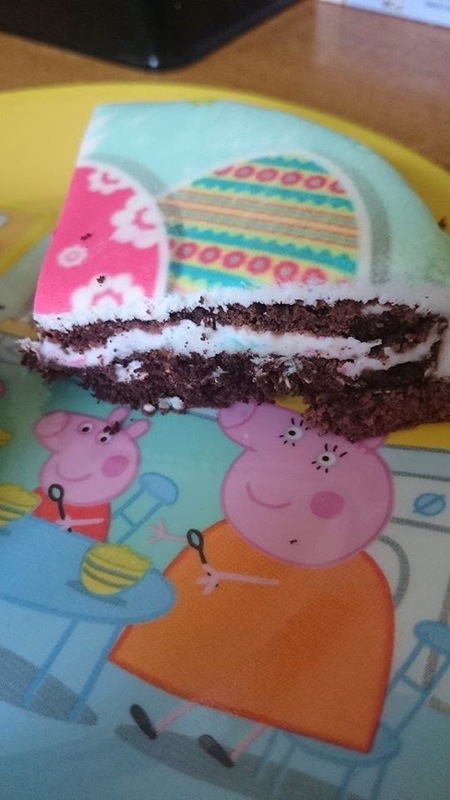 I had to show you a slice of our cake which we all loved and thoroughly enjoyed. We will defiantly be using Bakerdays to send cakes to our loved ones for birthdays. Thanks to Bakerdays for the cake!! If you would like to win a letterbox cake then just fill out the rafflecoptor below. The letterbox cake was given to us to review. This does in no way influence my opinion on the product or the company.